Challenge: Dreaming of a new way to fight wrinkles and sleep creases? 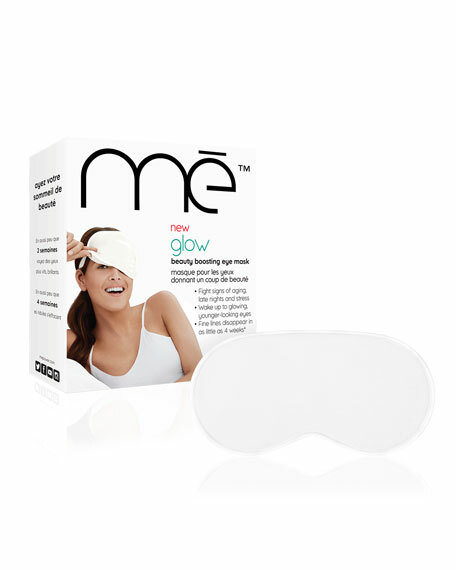 Solution: Wake up to glowing, younger-looking skin and smoother hair with the revolutionary me glow beauty boosting eye mask. Why it's different: Why spend your nights dreaming about having more radiant, younger-looking skin, when you can use this high-tech wonder and actually wake up that way? 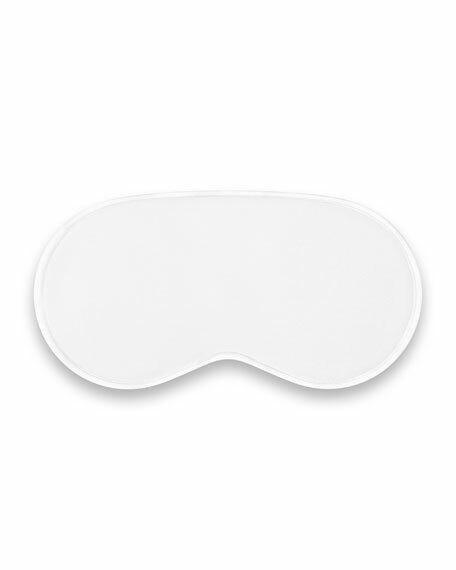 Pull your beauty boosting eye mask over your eyes and let me work its magic overnight. Soft & satiny me glow fibers are infused with skin-revitalizing copperand the result is gorgeous. Results: In as little as 2 weeks, see brighter, glowing skin. In as little as 4 weeks, see fine lines disappear. For best results, use nightly and sleep in as long as possible. Here's how it works: Copper is an essential mineral known to enhance skin appearance for a healthy, youthful glow. Whenever the beauty boosting eye mask touches your skin, the copper ions in the fabric interact with the skin's upper layers during sleep to improve the appearance of skin overnight. In just 2 weeks, you'll open your eyes to a noticeable difference in skin appearance with the benefits continuing over time. This is beauty sleep like you mean it. Consider it another reason to hit snooze. easy: Just sleep your way to smoother, brighter skin. fast: Wake up to brighter, glowing skin in as little as 2 weeks. effective: Clinically proven copper technology smoothes skin while minimizing the appearance of fine lines. luxurious: Silky, smooth fabric infused with powerful copper technology. packable: Hitting the road? Take me with you. Perfect for travel so you'll never miss a night.